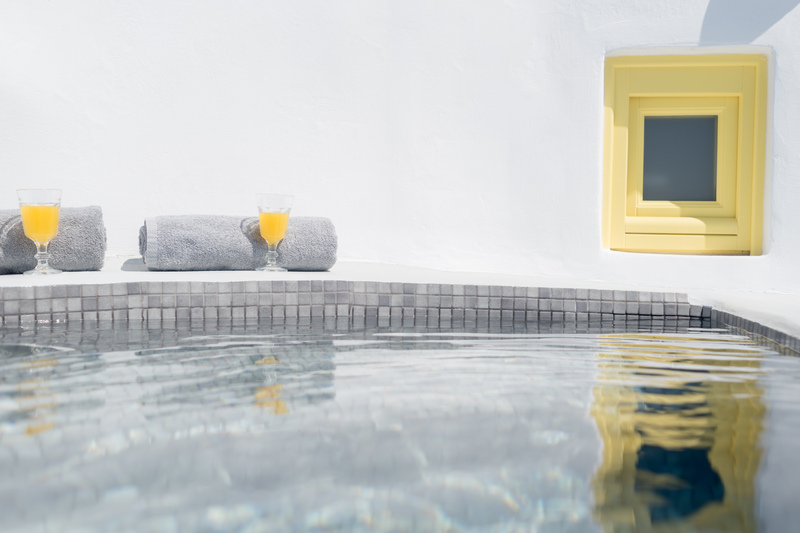 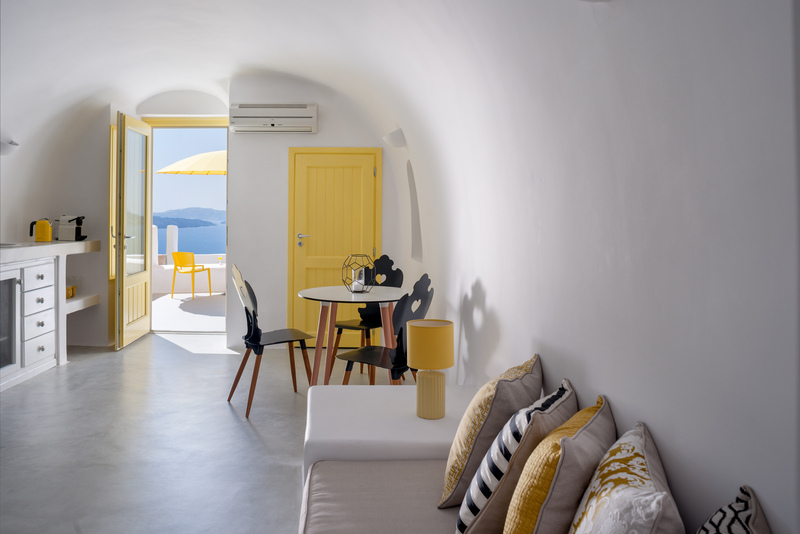 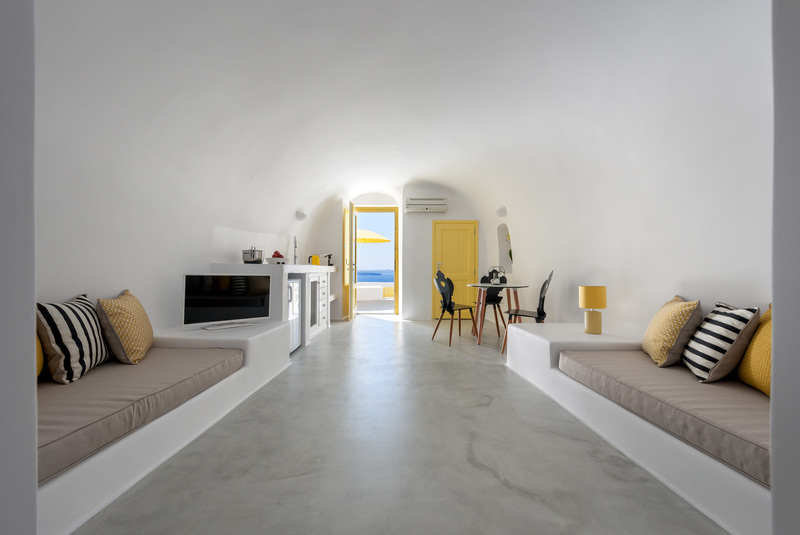 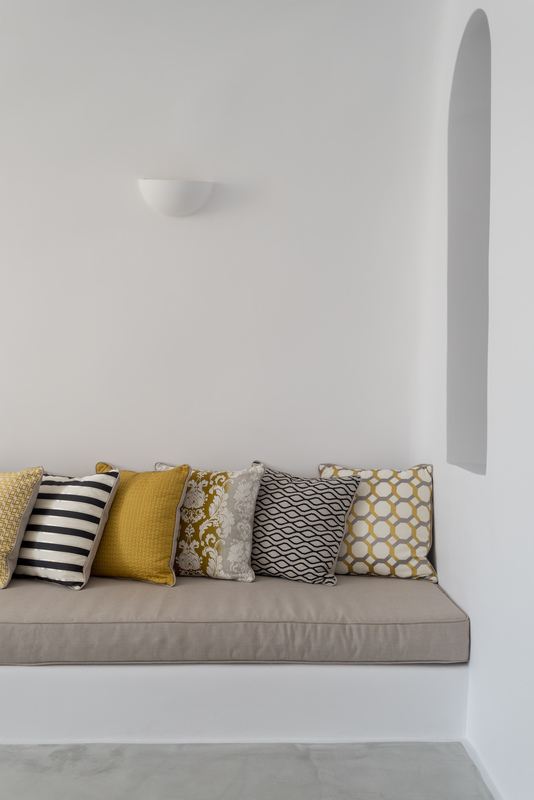 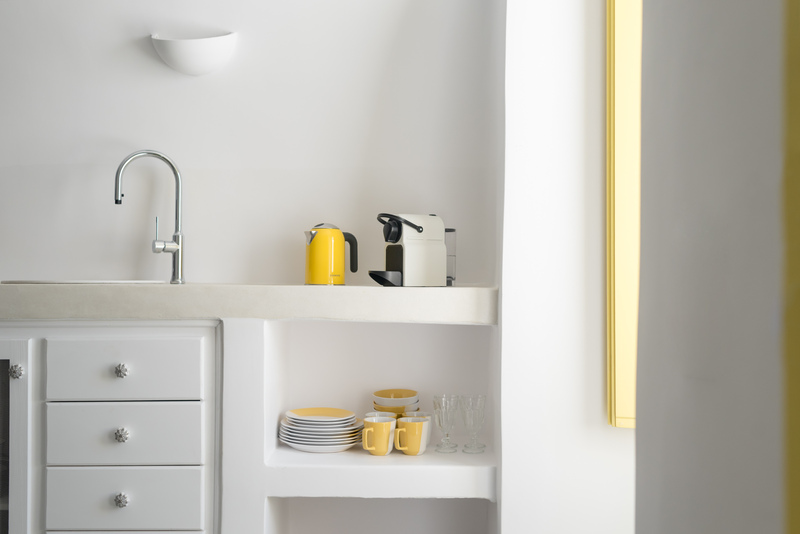 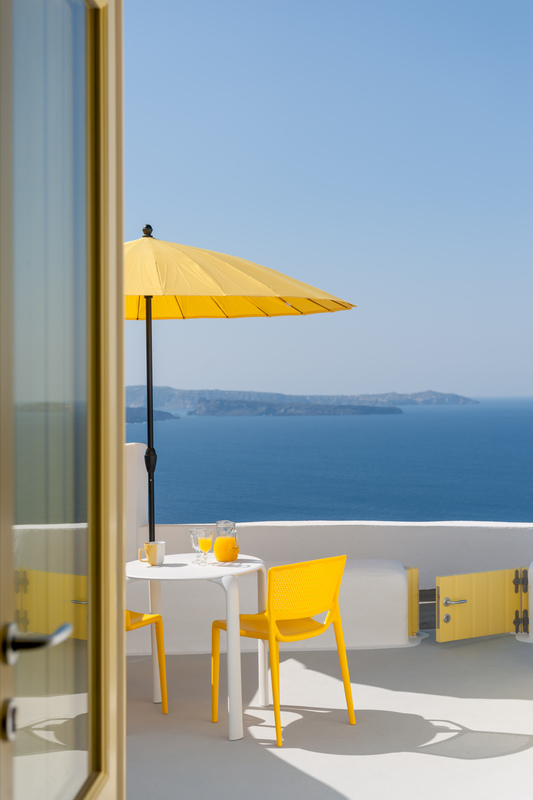 Summery vibes are beaming with yellow color in a renovated villa in Oia. 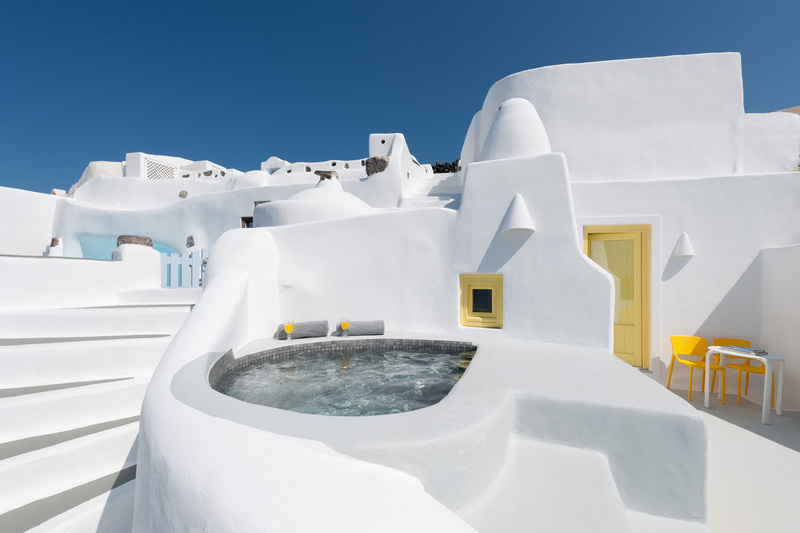 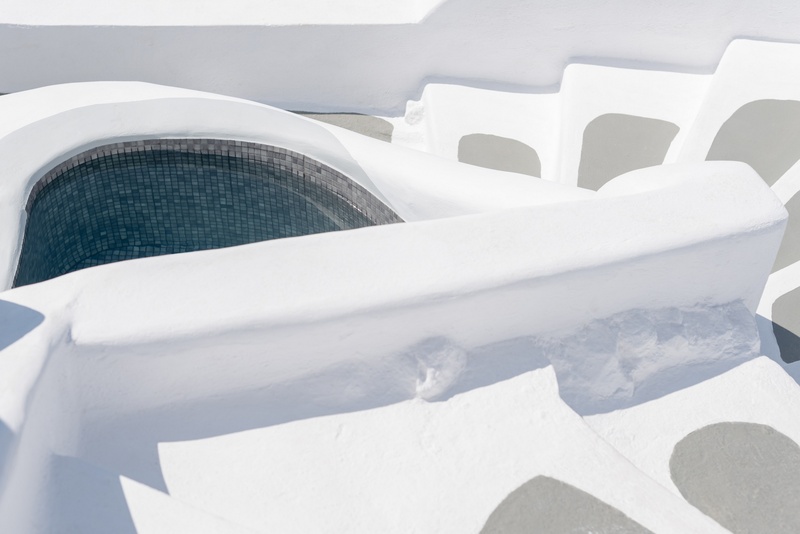 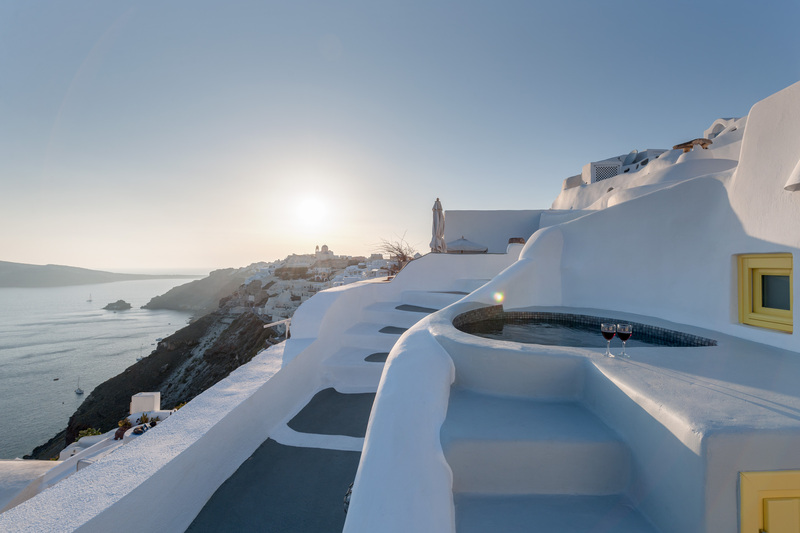 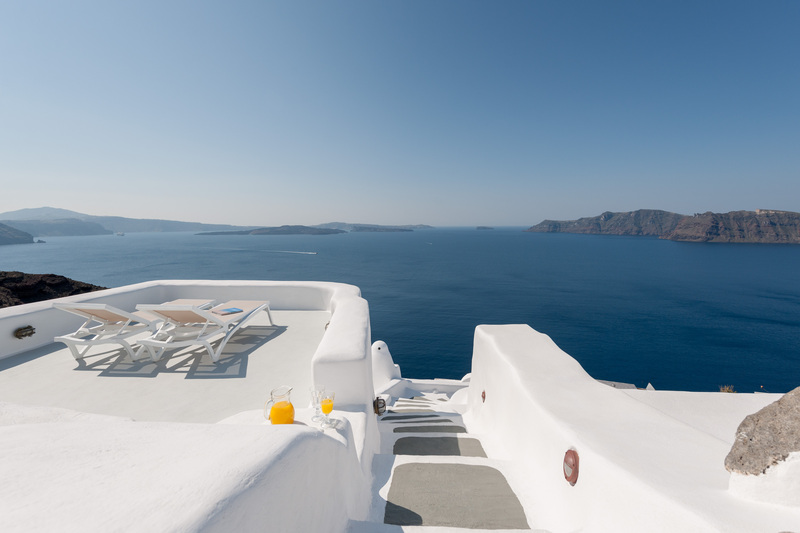 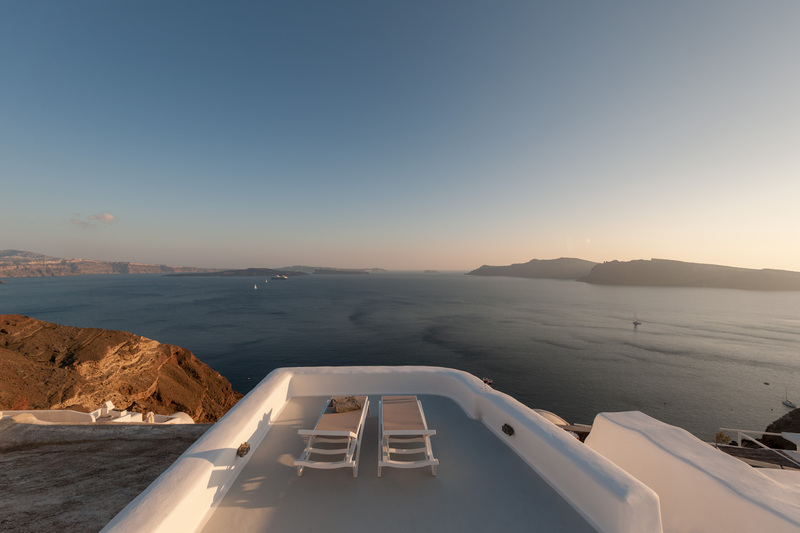 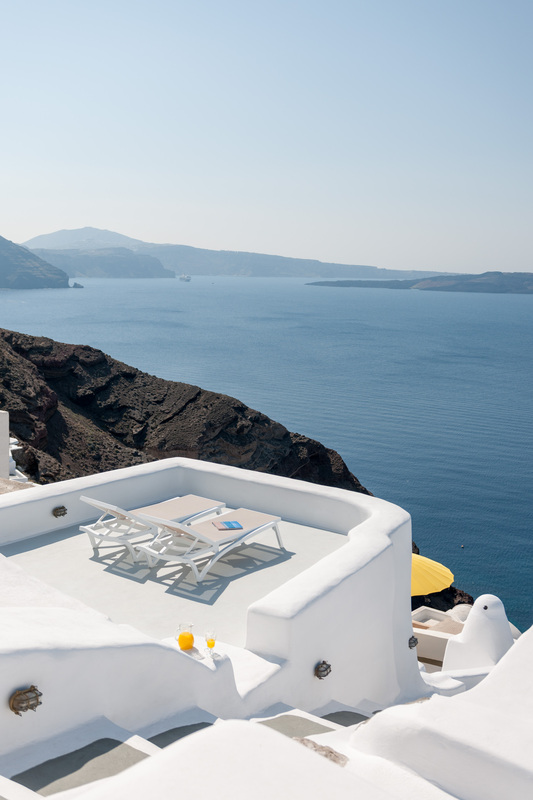 In perfect harmony with the magnificent landscape Aura Villa radiates bright atop the stunning volcanic cliffs of Santorini, with breathtaking panoramic view of the mysterious caldera, surrounded by the endless blue Aegean Sea. 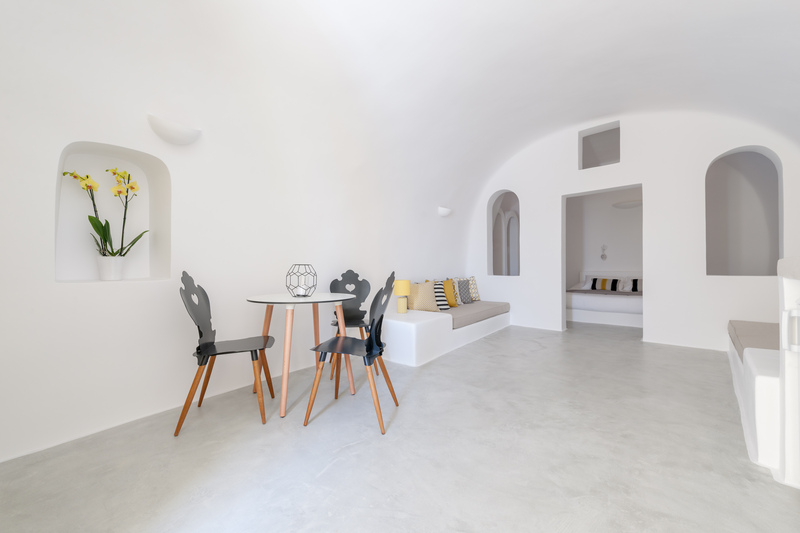 The old traditional house had to be renovated and transformed into a luxurious villa. 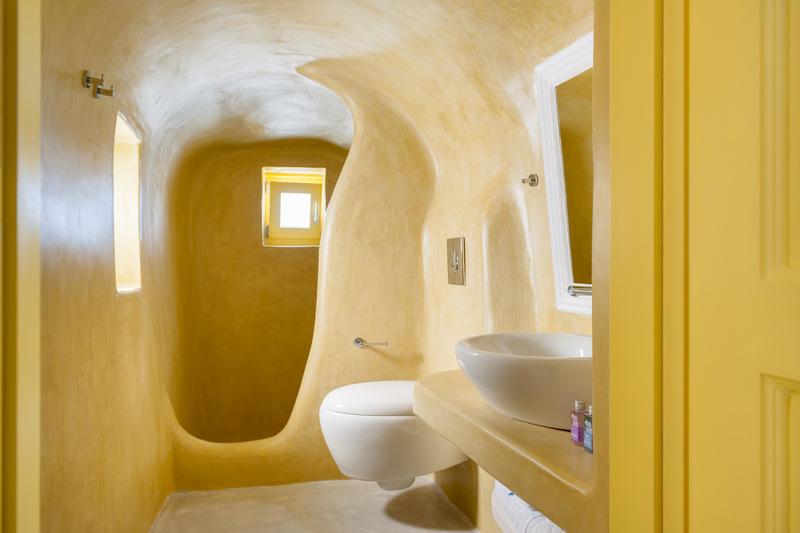 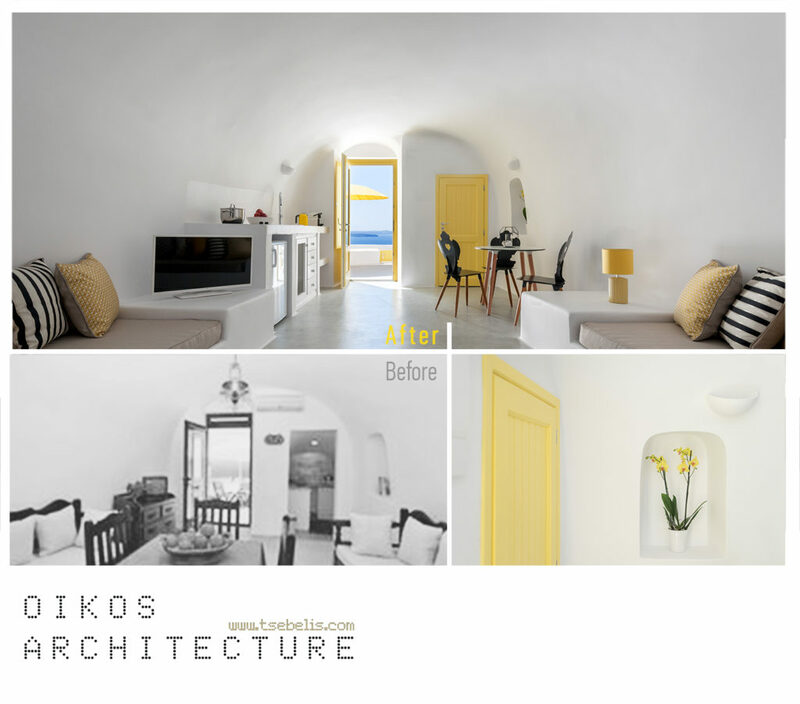 A bright yellow color was used as a reference design tool, to radiate inspiration, spiritual piece and positive vibes paring the mystical energy of Santorini. 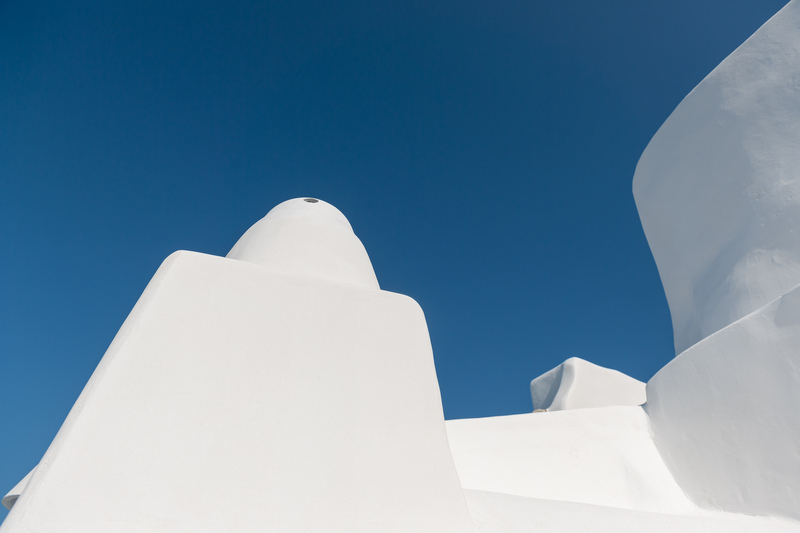 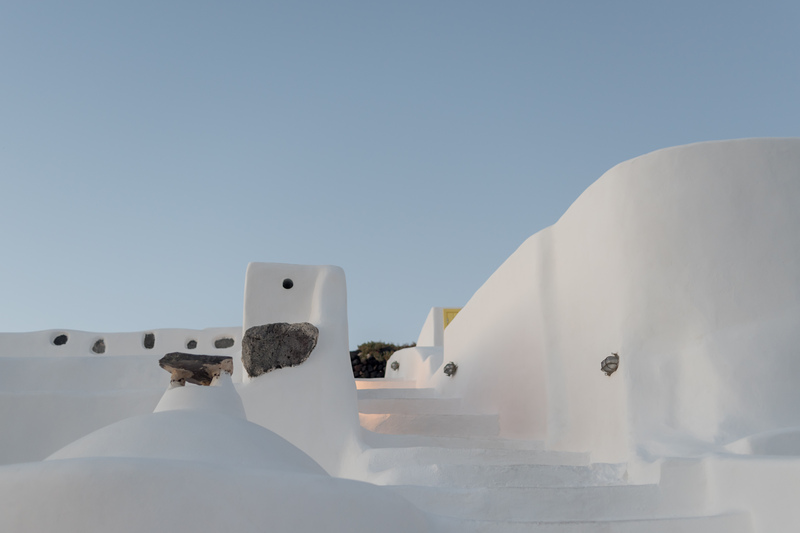 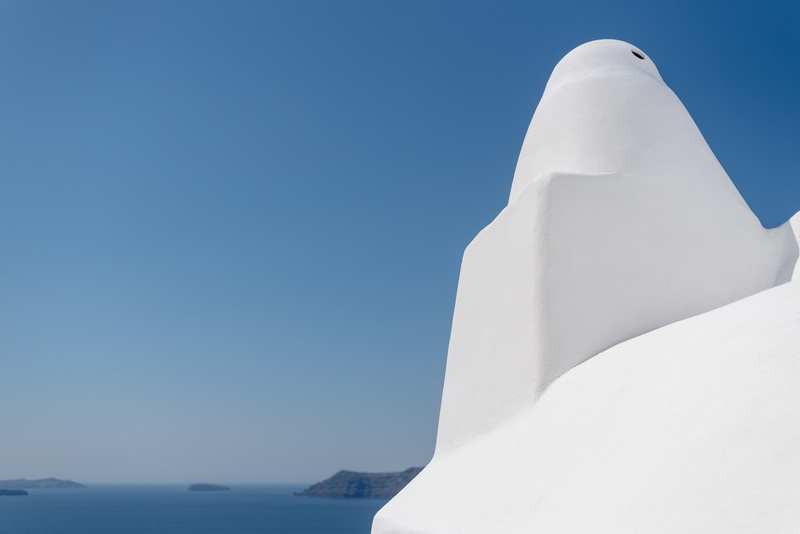 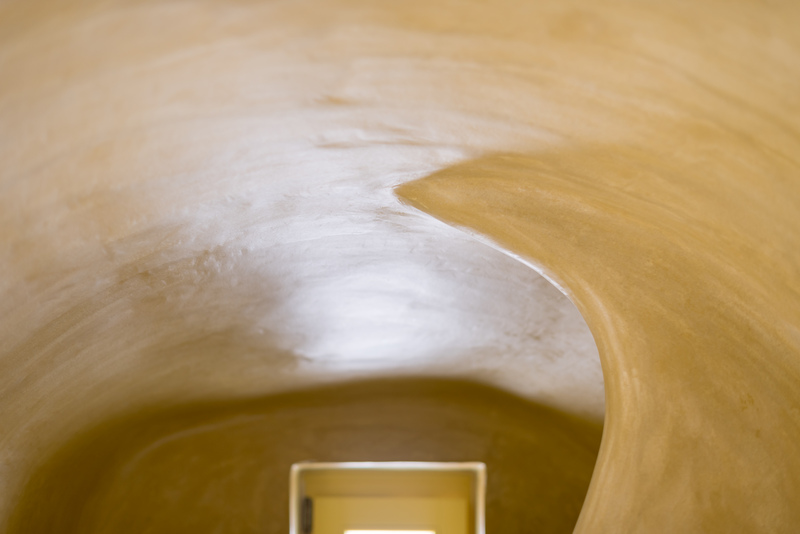 Maintaining the traditional architecture of the island was the main aim of the architects who succeeded in melting it with modern design, comfort, elegance and luxury. 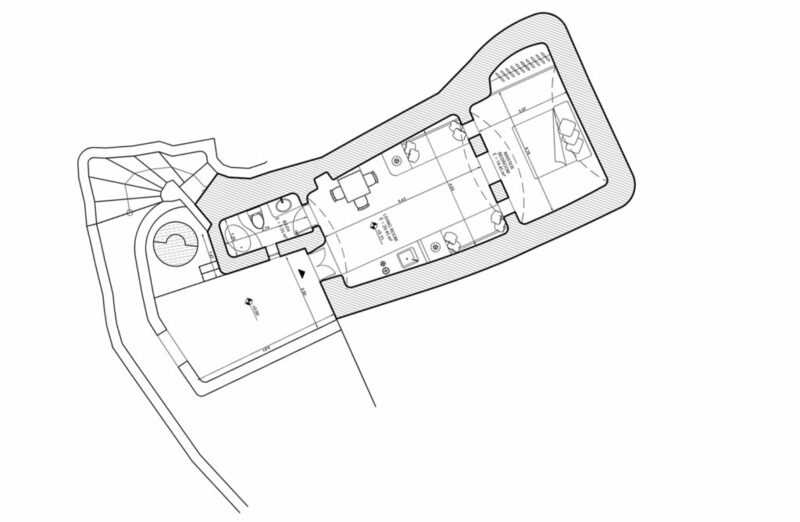 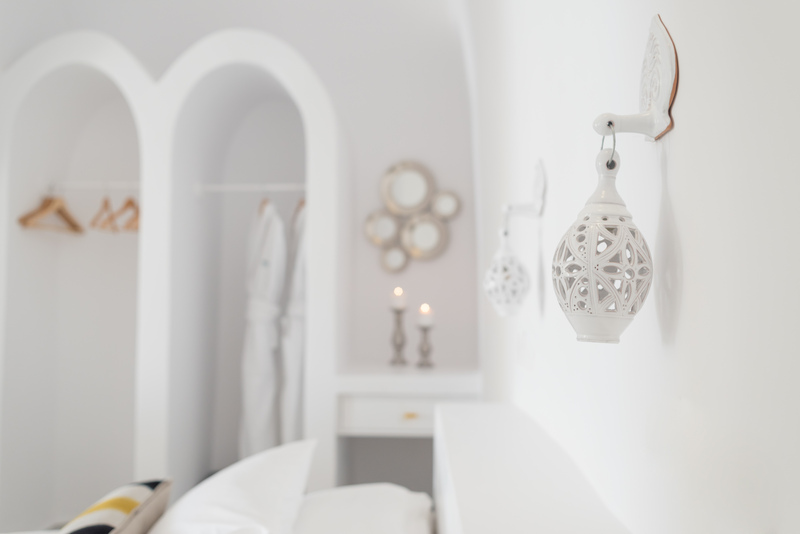 The Villa occupies 45 m2 and its spacious accommodation can host up to four people. 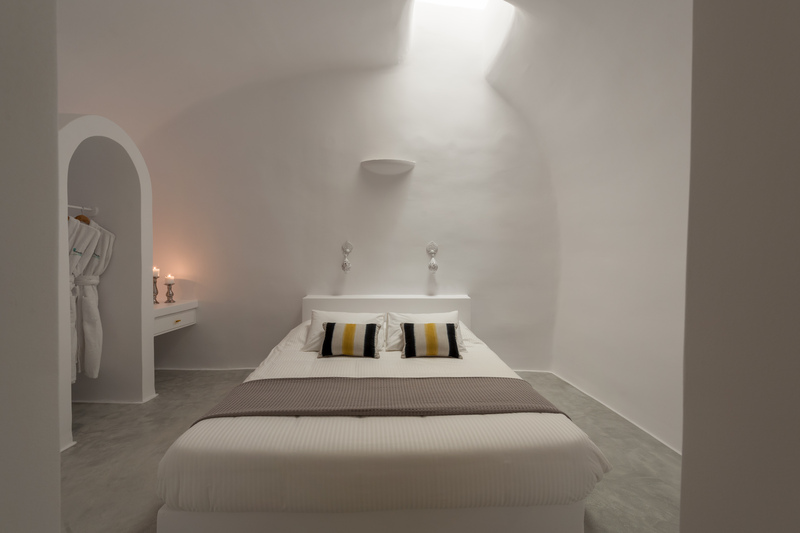 Aura Villa consists of a master bedroom with a king-size bed, and two sofas that turn into beds. 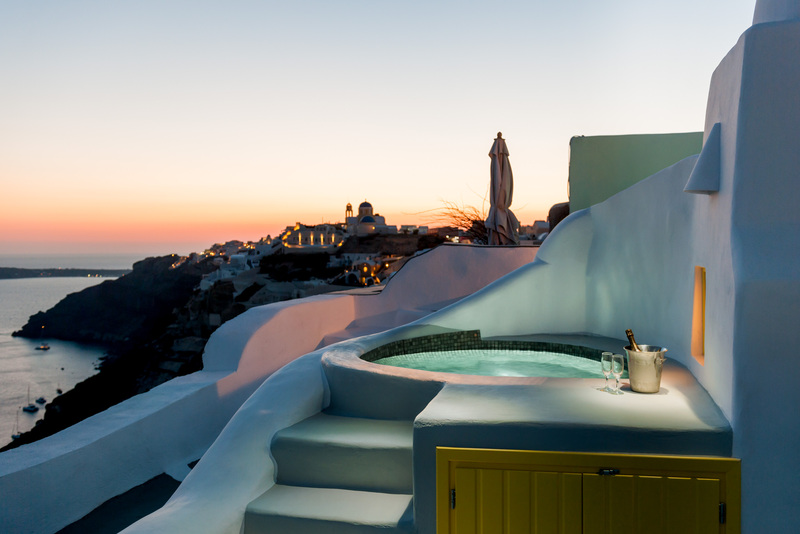 The project is carefully designed in such a way that offers an entirely autonomous living experience for its guests. 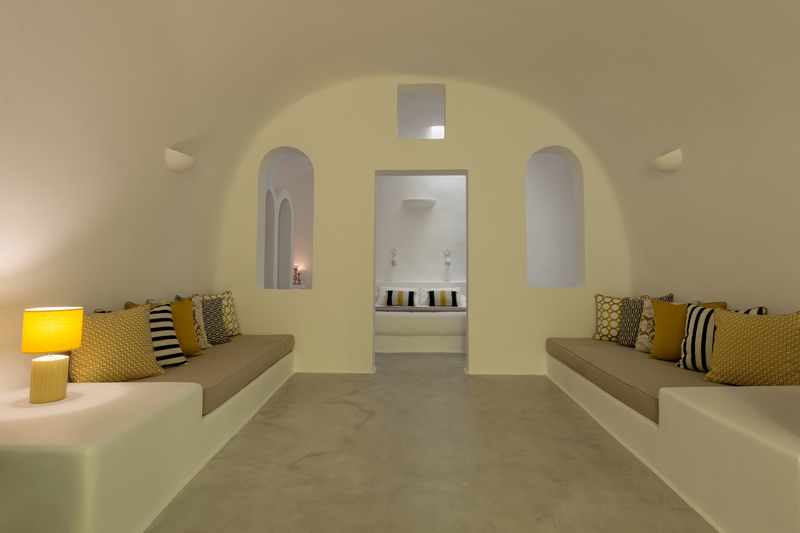 The furnishings reflect Santorini’s personality, and they fit perfectly the cave style, natural materials and a harmonious color palette.